← 2018 Summer BBQ – Free Food, Drinks, and Lots of Fun!! Graduate Student Professional Development Conference (GPDC) is Next Week! 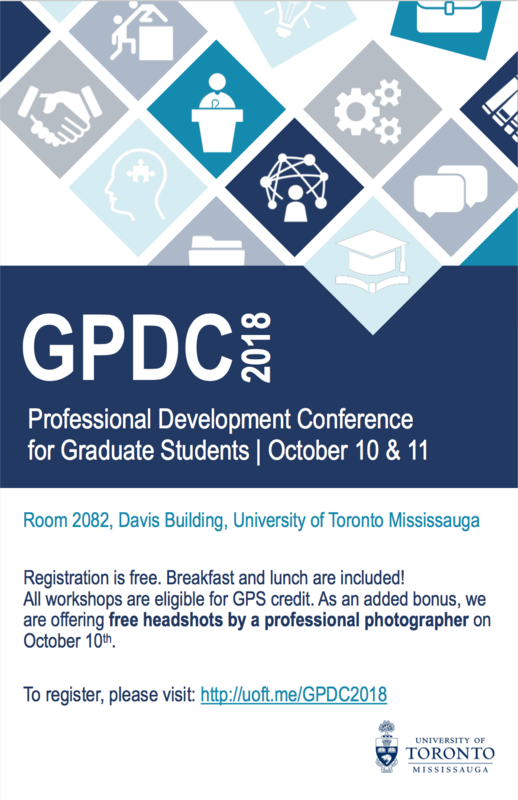 Just a friendly reminder that the Graduate Student Professional Development Conference (GPDC) will be happening next week on October 10th and 11th! This is an excellent opportunity to enhance your transferable skills, and to help you prepare for your studies and for a competitive job market. For more information on this exciting event, please see the poster below, or visit http://uoft.me/GPDC2018.